4 Bedroom Terraced House For Sale in London for Asking Price £1,150,000. 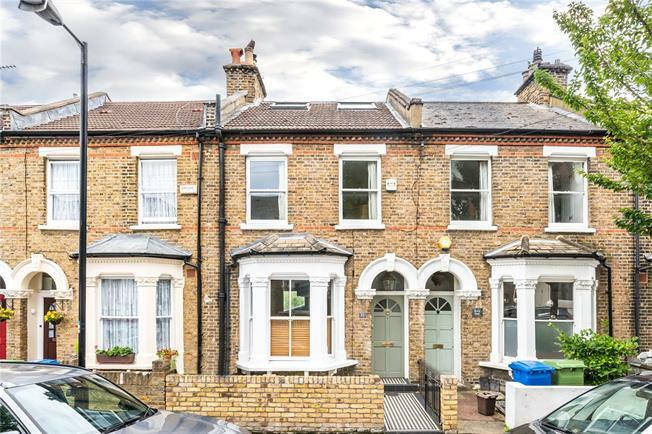 A lovely, beautifully presented, four bedroom, Victorian, terraced house. It has some lovely period features such as sash windows and cornincing and a pretty garden. The house has been beautifully refurbished with a fabulous eat-in kitchen as well as the double reception room and two loft extensions providing a further bedroom and bathroom. Ivanhoe Rd is in a sought-after area on the border of Camberwell and Peckham only half a mile from Denmark Hill station, which has trains to London Victoria and the Overground to Shoreditch and Canada Water, and 0.3 miles from East Dulwich station which has trains to London Bridge. Bellenden Road is moments away and has a wide selection of shops, cafes and restaurants.